Tiffany graduated from George Mason University, School of Management with a BS in Business Administration in 2004. She continues striving to improve her business skills through independent studies and self-improvement techniques. She is affiliated with the Chamber of Commerce, Women in Business, Young Professionals & WCR to name a few. Tiffany is married and currently lives in Cape Coral with her dogs, cat, tortoise & tropical fish. She enjoys staying active through CrossFit, tennis, beach volleyball and stand up paddle boarding (SUP). High on her list of things to do is pleasure reading (specifically Apocalyptic Zombie Military genre), giving back to the community spending as much of her free time as possible outdoors! Conducting herself with integrity and honesty are of utmost importance and she wishes to align with likeminded, forward thinking individuals. Her sincere desire is to provide the highest level of customer service to her clients and to above all do the right thing. Look to Tiffany’s expertise to help you with your goals. Contact her via email @ her tiffany@miloffaubuchonrealty.com. Call direct 239.989.3198. Tiffany was great! She went above and beyond to meet all of our needs as we were first time home buyers. We were very pleased! I’ve known Tiffany for 5 years and worked with her to sell my Estero condo. The team at Miloff Aubuchon created a beautiful video of my condo that was used to market the property. I referred my neighbor to Tiffany, and she sold both units. Tiffany can be trusted with your most valuable asset, and she will work diligently on your behalf. Tiffany proved to be a major asset in our 1st purchase in Florida. She helped us understand what to look for when purchasing a canal home. Tiff is knowledgeable about valuations and property development, home upgrades, etc… and where “true value” has been added. With her help, we were able to feel secure about our purchase. My experience with Tiffany was excellent. I would describe her in two words: professional and attentive. She is extremely competent with a high level of regional expertise, and a strong knowledge of the nuanced rules and regulations in the area. Additionally, she is highly attentive to customer needs. With a positive outlook on life, hard-working personality, excellent area knowledge, and meticulous by nature; Tiffany seems to have a natural feel for people, and is very patient at finding the right home for the right person. I would recommend her highly to prospective buyers, and I will definitely use Tiffany for my future real estate needs. Tiffany was there for us at every turn – showing us the types of houses/condos we were looking for – setting up visits when we were in the area – and eventually helping us choose and close on the perfect condo for our needs. Her professionalism and attention to detail is second to none. We would highly recommend Tiffany and her company. Tiffany was an absolute pleasure to work with! She was very knowledgeable and efficient every step of the way! I would definitely recommend her to anyone looking to buy/sell their home. Tiffany was awesome. She listened to us. We had specific questions in regards to where we want to live. She met those. And when we couldn’t find what we wanted she reached out to other realtors and found exactly what we wanted. Tiffany Packard was recommended to me as a highly experienced agent. I found that she was very extraordinary in her skills in finding the smallest details of things that I had missed in paperwork and walking through my newly built home. I would highly recommend her if you need a dedicated agent that will be on your side all the way. Tiffany saved us a lot of time by looking up houses we wanted to see and giving us pertinent information like “water assessment has not been paid”… She was always on time and easy to contact as well. Very professional! Tiffany has helped me buy and sell two houses in Ft. Myers. She is always available, yet gives me the space I need to make decisions. I would definitely recommend Tiffany and her team. Tiffany is a perfect 10. She is professional, knowledgeable and genuinely invested in helping you reach your real estate goals. Plus she has great instincts and is a very hard working realtor! I would highly recommend her to anyone! We had a great experience with Tiffany Packard and her entire team. They were extremely responsive as well as very accommodating due to our unique situation. At the time my husband had a medical issue that prevented him from leaving home and doing a normal closing at the title company. The title company arranged for a mobile closing at our current home and Tiffany and her team were there every step of the way. I would definitely use Tiffany again for any real estate needs. This was the first house I’ve purchased. Tiffany was great she really helped me through the process and answered all my questions. I was able to close within 30 days. Thanks Tiffany for making my experience a pleasant one. Your team is lucky to have someone like you. I know I was! She knows more about the Cape than the mayor. She made the process extremely easy. We told her the budget & she found our dream home. If you are buying a house in Cape Coral, she the best! She was a great realtor that took good care of us, managed things well, and took the time/effort to sell our house. Tiffany was very knowledgeable about the entire process and treated my family very well. Tiffany was very accommodating in my home search and was willing to meet around my work schedule and within reason if I found a house I was interested in looking at outside of an appointment time. She was respectful of my financial boundaries and proficient at realizing when a property would not meet my needs. I felt comfortable telling her when a property did not meet my expectations or if it was too much for me to handle. She made the process comfortable when it can be a very stressful time. Informative, accessible, not pushy, never got tired of showing us listings, knew exactly what we were looking for. Always got answers to any questions we had. Tiffany was very knowledgeable about the surrounding neighborhoods and market where our house was located. She had in depth insight to the house potential and what it would take to achieve a sale. Tiffany understood our expectations. She conducted herself in a professional manner. She maintained clients needs before her willingness to make a sale assuring the right buyer would come and she was right. A sale was made with minimal negotiation. We would highly recommend her. Tiffany Packard was extremely helpful from the first day I reached her. She was always available and handled every single part of the process quickly and efficiently. I will recommend her to every one of my friends and family. Ms. Packard is professional, hardworking, and very devoted to her clients. Always responsive to our needs and spent an exceptional amount of time with us. Photos and video of property were very professional. If you’re reading this you are searching out a realtor the same way I did. I narrowed my selection down to two and chose to try each on for size for the perfect fit. HANDS DOWN, Tiffany had the clear advantage in every category. Her professionalism, knowledge, seasoned experience and most of all patience was exactly what I needed as I knew nothing of the area or the housing markets. She represented me well in the negotiation and held my hand when I needed it. You will not find a better resource! Tiff was awesome. She was prompt and quick with all our questions. She made our first home buying experience easy. I would recommend her to anyone of my friends and family. I will use her again for my next home. Everything was a wonderful experience. I had to sell and close on my house from out of state. Tiffany provided outstanding support, even assisting in accomplishing needed repairs. Her advice was accurate and I received a sale price within my expectations in a relatively short period. I am completely satisfied with her performance. Tiffany has made this experience easier than I thought it could be. She is quick to respond, efficient and knowledgeable. She cares about her customers and wants nothing more than to see them find or sell their home. It was a pleasure working with Tiffany. She was extremely helpful throughout the entire buying process. Her knowledge and experience in the market helped us find the perfect home. Tiffany was always on time, prepared and professional. She went out of her way to answer questions, provide advice and handle the complicated issues. Tiffany is by far the best agent I have worked with and I would recommend her to anyone buying or selling a home. Tiffany’s professional yet personable attitude made her a most enjoyable person to work with. She was extremely knowledgeable with the area and went out of her way in order to find several homes for us to view which met our exact specifications. After first suggesting to her we were interested in a condominium, after two days of exhaustive viewing, we completely did a reverse and asked her to search out homes for us. Tiffany was most accommodating, and very pleasantly took our request to task with the same enthusiasm. After finding our ‘dream home,’ since we still lived out of state, Tiffany was most instrumental in putting us in contact with a lender, in meeting with the proper individuals at the house and act as our representative, and to making sure all inspections and necessary items were taken care of for a smooth transition and closing. She was, quite simply, the best! Tiffany helped us purchase a 2nd home while we were in Wisconsin. We had some showings to get an idea of what we were looking for and over the course of several months we’d communicate about properties. When we found the one we bought she quickly set up a virtual showing and we loved what we could see. From there she helped guide us through working with the lender, met with the builder and other inspector to make sure all requested work was complete for closing. We saved stress and money having to travel less while she handled things. We love our new home and can’t wait to get to use it. Tiffany is a very impressive agent, as our selling agent she minded attention to detail and negotiated an excellent deal. Closing and all paperwork was fast and thorough. I would highly recommend Tiffany as a selling and buying agent. Tiffany was outstanding! She went above and beyond in helping us find our perfect home. She was always willing to show us properties and answer any questions we had at any time. I would definitely recommend Tiffany to anyone looking to buy a home. Her knowledge of the area made it easy to decide where we wanted to settle down. Tiffany was amazing in every aspect of our sale and purchase. She made herself available on weekends and after hours. She was extremely knowledgeable and got us two great deals. I would highly recommend her. Dealing with Tiffany was a pleasure. She was pleasant, professional and pragmatic. We have recommended her to some friends of ours and will do so again in the future. From the moment Tiffany returned my initial call to the post-closing thank you note I received, Tiffany displayed a level of professionalism that is rare in Southwest Florida. Throughout the process she was prompt, receptive, helpful, informative, proactive, efficient, and patient. The asking price she configured was EXACTLY the price the appraiser provided, and after she posted the listing I received an offer within a few hours. When I needed to rush out of state due to a family emergency a month before closing, Tiffany confidently assured me she would safeguard a seamless, remote transaction with the title company, and in the end everything turned out perfectly – as she had anticipated. Thankfully, today, I am living a completely different and better life, and Tiffany played a critical role in the unfolding. 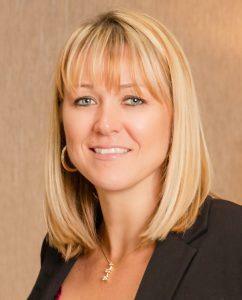 Tiffany is highly knowledgeable and detail oriented real estate professional. She is very responsive. She made selling process stress (almost) free, informed us in timely matter and prepared for all steps. She is an agent that seller can put full trust into. Excellent – top player in southwest Florida. Tiffany is truly The Concierge of Real Estate. Tiffany is AMAZING! She really worked hard on finding us the right place. We looked at so many homes, and not once did we feel any kind of pressure from her to buy something. She never rushed us, pointed things out good and bad, and let us walk through as long as we wanted. She was always available to answer questions for us, returning calls or texts very quickly. When I became discouraged, her one reply was “Don’t worry hang in there we’ll find you the right house, we’ll keep looking as long as it takes”. And when we finally found the right place, she really worked for us on getting the price we wanted. She recommended a great mortgage company, and was there through all of it. Always checking in to see if we needed anything, staying in touch with both us and the mortgage company. Even after the papers were signed and we were in our new home, she still has been available to answer questions about getting things all in place. It was a pleasure working with Tiffany. She works for you, and that’s what you want in a realtor. Tiffany is excellent. Very organized and has the best interest of her client in mind. She also responded to any questions that we had very quickly. I would recommend her to anyone that needs a realtor. She is the best! Tiffany found us our dream home! Couldn’t have asked for anyone better. She was always willing to answer any questions we had and was very knowledgeable. If you are looking for a realtor in this area don’t pick anyone but her! Our lease was ending and we needed to buy a house quickly when a co-worker referred me to Tiffany. I emailed her around 8 am and she returned my email before noon. Tiffany was extremely helpful. Her sense of urgency and work ethic are unparalleled. Tiffany showed that she understood the position we were in and cared enough that she set up an afternoon to show us 18 houses if needed. We ended up buying the second house we looked at. Tiffany helped us to begin the process that afternoon. She was always available to answer our questions and kept the whole process moving. She conducted business with professionalism, kindness, courtesy, and respect. She listened, took action, and delivered and we are so thankful. Tiffany provided professional service and insight. She stuck with us through months of searching, three offers on three different houses, and a lender that almost busted the deal for us. Working with Kevin Demunyck at PNC bank was the worst experience we’ve ever had. A week before closing, we were unable to get any response from our lender. She was able to find and make contact with the under-writer and find out what documents they still needed to process loan. Because of a complete ineptitude on the part of the lender, we ended up closing after the 10 day window in our contract and she was able to secure us an extension with the seller. Not only did she help us through the entire process but whenever we had any questions, she immediately got back to us, regardless of what it was and even after we closed. Tiffany made this the best possible experience for us! My husband and I traveled to Cape Coral to look for a home last summer. We had been working with a well-known realtor and planned a weekend visit and house hunting trip. We were very interested in one particular property in the NW area. However, upon arriving, we found the realtor only set up two showings in the SW, and said she couldn’t “get in touch” with the owners of the house we wanted to see, not what you want to hear after travelling 1,200 miles and hiring a sitter for your kids. On a whim, we called Tiffany Packard. Within one hour, Tiffany had us in half a dozen homes, including the one we were interested in. Though we didn’t purchase a home on that trip, we kept working with Tiffany and planned a second trip. This time, Tiffany not only found us the property of our dreams, but she found one right next door for my brother and his wife. We just made settlement and couldn’t be happier with the services Tiffany supplied. Her work ethic and knowledge helped us find and purchase with no issues at all. Tiffany’s professionalism and hard work to help us sell our Dads house was above and beyond our expectations. Not living in the same city, she took it upon herself to arrange things that we obviously we’re unable to take care of, and she got it done. I recommend her to anyone wanting an honest, efficient and very pleasant realtor to help them with buying/selling a home. She will not disappoint! Tiffany accomplished the sale of my mother’s home in Cape Coral. Tiffany provided accurate sales comps., handled all the details and then brought a qualified buyer to us. And, it all occurred in a timely manner. Professional, friendly and, most important, she is really good. Tiffany helped us throughout the process-from ideas on staging to pricing and help with negotiations. Quick and thorough follow-up on all of our questions. The whole organization was great. The bottom line is we sold our home quickly for over the listing price! Tiffany was very helpful in our home buying process. You was always quick to respond and made sure we were also updated on what was going on. She was very attentive to what we were looking for in a house. As a first time home buyer, I have to admit, I was nervous and naive. Tiffany was Amazing, and put me at ease. She understood my mindset, what I was looking for and understood my expectations. She was honest and worked with me on every step of the process, from looking, to selecting, and closing. She worked with my schedule to set up viewings and I never felt pressured to make a decision, it was always comfortable. She also worked closely with my lender for a smooth closing process. I would definitely work with her when I am ready to upgrade! Tiffany Packard was very helpful and eager to help meet all our needs when purchasing our home in Cape Coral Florida. She is a full service realtor and was ready to tackle any issues and get answers to questions or problems fast. Tiffany’s local knowledge was very helpful as well, she even provided us with a complete New Residents Guide which supplies information and phone numbers to all the local utilities, and city services. I would highly recommend Tiffany Packard for your real estate needs. Amazing woman! Efficient. Knowledgeable. Professional. Organized. Caring. Genuine. Just an all over incredible human being! Any questions I had she answered thoroughly. Anything I needed she was always a phone call or text away. She wasn’t trying to upsell me anything. And she worked with my work schedule which is very important. When I wanted to go look at a house again, no problem. I have recommended her to many people and will continue to do so. Great job Tiff! You made my first time buying a home a wonderful experience. Tiffany is very professional and always responded quickly when contacted. My home was marketed well and had many showings. Tiffany sent me reviews done by potential buyers and met with me periodically to discuss progress and changes that helped sell my home. Very helpful and responsive throughout the process. Our house was a tough sell in the area we lived in and Tiffany was able to get the market price in a short period of time. I would highly recommend Tiffany to all my friends and family looking to buy or sell a home. Since we live out of state we expected the process to be a bit daunting. However, Tiffany made everything run smoothly. She targeted the homes we looked at to our taste and budget. Tiffany kept us informed every step of the way. There were no surprises because she kept us up-to-date; she is a great communicator. We would absolutely use Tiffany’s services again. As soon as we saw the house we wanted Tiffany quickly took action. When we called her, at a moment’s notice, she went and looked at the house for us. We did not live in the area and were unable to see the house for ourselves. She gave us accurate details on the condition of the house and helped us make our decision quickly. We would have lost the sale of our dream home if it wasn’t for immediate response. Her commitment to us was exceptional and when representing us she was very professional. I worked with Tiffany in purchasing my first home. She provided outstanding service. This was a first time home purchase for me and she assisted me in every step of the way. Tiffany is very knowledgeable and most importantly, very in tune with her clients. I felt as if she listened to me, was patient, and worked hard to meet my wants and needs. The seller had a stroke on the first home I was set to close on, and I was discouraged. Tiffany worked harder than ever after this and made sure to find the perfect home for my young daughters and I. I truly felt as if she was on my side during every step of the way. If I purchase or sell in the future I will be sure to work with Tiffany again! Tiffany was a great person to work with. She sold my house in less than a week. She was responsive and made my experience very simple and stress free. I would highly recommend Tiffany as your agent. She is personable and clearly has an extensive knowledge to get your house sold. Tiffany was a pleasure to work with. We had not purchased a short sale before and the starts and stops can be frustrating. Tiffany’s core strengths are stellar communication and extensive knowledge. She is very proactive and keeps the lines of communication open. She not only guided us through the process but also helped us find the local contractors we needed and other information about the area. I would highly recommend Tiffany for anyone looking or selling in the Cape Coral area. She is a top-notch professional and we love our new home. Tiffany listed and sold our house for us. We had a tricky situation, but she handled it beautifully and with the utmost professionalism. Tiffany is very kind and honest and a pleasure to work with. I look forward to working with her again in the future. Amazing realtor! Made my home buying experience as painless as possible and guided me every step of the way. I truly felt that she had my best interest at heart. Knows the area very well and got me into the house I wanted for the right price. When I buy my next house she will definitely be the realtor I choose. Tiffany was amazing! She worked hard and battled other offers on the foreclosure that we purchased, and we got it! We are extremely happy with the home that Tiffany found for us! We bought our Florida home sight unseen. Tiffany helped us from beginning to end. She was so helpful and pleasant to work with. There was so much to do and she did it all! Her follow was awesome and I give her a big thumbs up!!! Would recommend her highly to all our friends and family! Tiffany listened to our expectations and answered our questions in a timely manner. She respected limitations that were necessary regarding showing time (due to the age and physical limitations of my eighty year old mother who was living in the home at the time of sale.) Tiffany and her team used a comprehensive ad campaign across multiple media formats and were able to bring us a qualified buyer in an extremely short period of time(two months from listing to closing.) Tiffany is young in years and experience but exhibited an ability to connect with the people involved in this transaction in a professional and empathetic way that exceeded my expectations. There were no surprises and no glitches in the sale and we were completely satisfied the transaction. I’d spoke to Tiffany Packard the very first time back in late April, 2014 and explained that my oldest of three daughters and husband were relocating to Cape Coral. Our journey was arduous and ended after the perfect home was found, a offered submitted and excepted. My children closed December 19th, 2014 and we thank God that Tiffany stuck with us and never let us settle on just a house, rather one they can call, a Home. Tiffany was great!! She helped us find exactly what we were looking for. I will definitely be recommending her. Thanks again Tiffany! You should definitely contact Tiffany if you need an experienced, knowledgeable, and very personable agent for any and all of your real estate needs. She was always very well prepared, punctual and attentive to our needs and found us the perfect house! Tiffany is very professional, hardworking and certainly is an asset to the brokerage firm she works for! The purpose of this letter is to express my appreciation of your efforts surrounding the recent sale of our home. We were pleasantly surprised, and extremely pleased, that you facilitated the sale of our home in three short weeks. I am convinced that this outcome was a direct reflection of your professional approach and attention to detail. We appreciate the time you took to understand our needs and every effort you made to exceed our expectations. We appreciated your responsiveness which made the entire process stress free. Please accept this letter with our sincere thanks. Please feel free to share this letter with prospective clients. We were very happy with Jeff and Tiffany they did an excellent job. The communication and professionalism was exceptional. Very, very happy. We highly recommend Jeff and Tiffany. The closing company did an excellent job as well. It’s wonderful to know that honesty and hard work are not forgotten nor lost virtues with you and your staff. It was a pleasure dealing with the Miloff/Aubuchon family. I came to you a wreck and you made it all better. I can’t thank you enough for all you did to facilitate the sale of my home. It was expedient, thorough, and fair to all parties. I would recommend you to ALL my friends and family. The buyer was perfect as well! I truly can’t thank you enough. I sincerely believe many great things await you! We have nothing but good to say about Tiffany. Her sales presentation was solid, her feedback was excellent and she kept us in the loop at all steps of the way. Next time we buy a home in your area (on the spreader) we will certainly contact Tiffany again. I can’t express enough what your gift meant to me. You are so thoughtful and I appreciate everything you did for me and my brothers in what turned out to be a very emotional experience for us. I wouldn’t hesitate for a moment to recommend you to anyone in need of a realtor. You are AWESOME!! We were very excited & happy with the work Tiffany did on the sale of our home it could have not gone better. Thanks so much, have a great day!